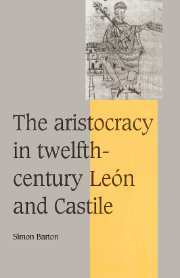 This volume examines the nature of aristocratic society in the Spanish kingdoms of León and Castile in the twelfth century. Drawing on an extensive range of original sources, many of them unpublished, it highlights the unrivaled wealth, status and power enjoyed by some members of the aristocracy. It also explores the multifarious roles that lay magnates were expected to fulfill: as family protectors, landlords and judges; as courtiers, diplomats and military commanders; and, not least, as patrons of the church. Preface; 1. León and Castile in the twelfth century; 2. Class, family and household; 3. The lineaments of power; 4. The nobility of the crown; 5. A warrior aristocracy; 6. Piety and patronage; Conclusion; Appendices; Bibliography.